Here is another fun paper Valentine's Day decoration. 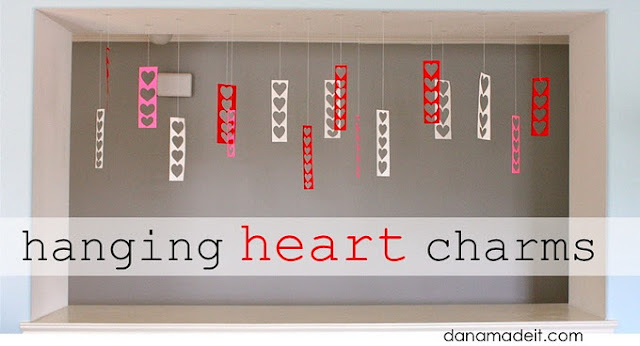 What is really handy about these hanging heart charms is that your scraps will be paper hearts. There is always something you can do with paper hearts on Valentine's day. You can check out how to make these hanging heart charms over at MADE. Hello~ It's always nice stopping by for a visit.